According to multiple reports, Jordan Brand will be releasing a Countdown Pack this year, which includes a new edition of the Air Jordan 7. The new Air Jordan 7 that is said to be included in the CDP boasts a pearlized leather paired with white grain leather that looks so good together especially with the varsity red and black accents on the shoe. You will surely like this one so watch out for it! 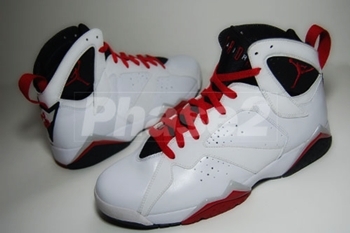 Check This Out: Air Jordan VII Retro!